Is it just me? Or have you noticed the abundance of fabulous new releases lately? Here are some of my don't-miss reads for March 2011. Don't forget to come back each week for Imprint Friday for more titles you won't be able to resist. Biography is a favorite genre of mine and two fascinating books are being released this month. 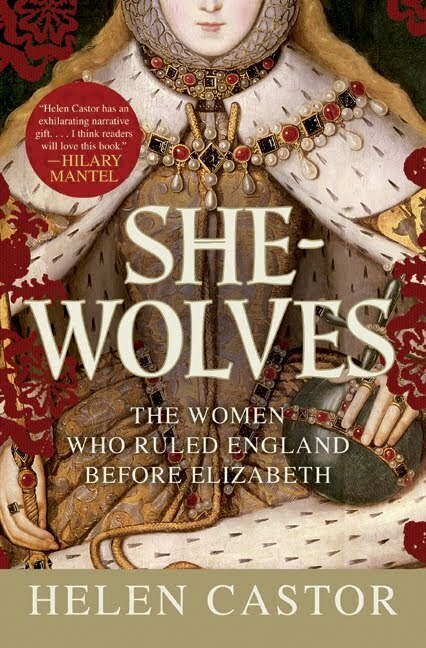 Helen Castor's She-Wolves (HarperCollins / Harper) introduces us to Matilda, Eleanor of Aquitaine, Isabella of France, and Margaret of Anjou. All four of these women played a part in shaping British history, although they paid a heavy price for power. Tired of England? No worries. The paperback edition of The Secret History of the Mongol Queens (Random House) by Jack Weatherford is out today. Travel to Asia of the late thirteenth century and learn "How the Daughters of Genghis Khan Rescued His Empire." If you haven't been reading Jasper Fforde's Thursday Next books, you're missing out. 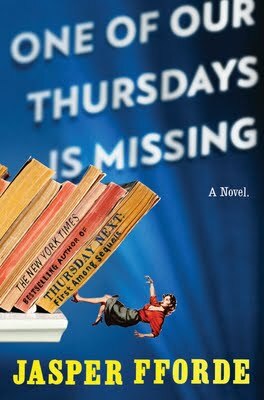 In One of Our Thursdays Is Missing (Penguin / Viking), BookWorld is in an uproar but our hero, Thursday, is in RealWorld. Can the peacekeepers prevent a Genre War without her help? For those who like action-packed stories, Philip Carter's The Altar of Bones (Simon & Schuster / Gallery Books) is a contemporary thriller that will entrap you. This one involves spies, Russia, Hollywood, Capitol Hill, and the secret to immortality. What would happen if a doctor decided to move his wife and four daughters from Michigan to Africa? Christina Meldrum's Amaryllis in Blueberry (Simon & Schuster / Gallery Books) explores just this situation. The family soon discovers that missionary work can be a life-altering experience--and not always in a good way. One of my favorite authors is E. L. Doctorow, and I'm so excited that he has a collection of short fiction coming out this month. All the Time in the World (Random House) contains "six . . . stories that have never appeared in book form, and a selection of [his] classics." The stories focus on unique individuals that we might we run across in everyday life. I hope something here has caught your eye. They are all on my list for March, and I can't wait to start reading. What new releases are you looking forward to? 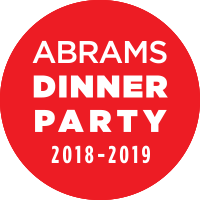 I can't wait for One of Our Thursdays is Missing, and I have to say Amaryllis in Blueberry sounds really really good too! I'm not among Thursday's fans, but there are a lot of great crime fiction books coming out this month. Very, very excited!! It just seems like there are so many good ones and I can't keep up! UGH! There are so many good books coming out this spring, I wouldn't even know where to start. You've listed some good ones. Blueberry has been ordered from my library! Really looking forward to that one. Generally, I have read more 5 star books this spring than I think I did all last year. And I thought the TBR Dare might put a damper on the good stuff! I am going to be buying Amaryllis in Blueberry, and the two historical books look interesting as well. Thanks for sharing these new titles with us! I keep meaning to try out the Thursday Next series but haven't gotten around to it yet. And I'm really looking forward to Amaryllis in Blueberry. 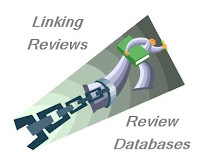 I look forward to your review. Like so many other fine readers, I have my eye on Amaryllis in Blueberry! The cover is just so lush, and I'm intrigued by the premise. I wish my day-job was reading books. I need more time to keep up! I requested Amaryllis in Blueberry after reading a few positive reviews. The Secret History of the Mongol Queens would fit nicely in my Southeast Asia challenge. Ooh, She-Wolves was fantastic - that's one I've already read! I hadn't seen the Mongol book, but I *definitely* am adding that to my wishlist, along with One of Our Thursdays is Missing and Amaryllis in Blueberry! I've almost finished She-Wolves and I agree - it's fantastic. Hadn't heard of The Mongol Queens but will be adding it to my list. I've had the pleasure of hearing Castor discuss the history and she made it so interesting and also funny, her book is on my must-have list. I wouldn't mind reading the Mongol Queens either. I've been reading reviews of Amaryllis in Blueberry on blogs and I'm definitely going to check it out! I'm really looking forward to the new Thursday Next book, too. She's such a fantastic character! 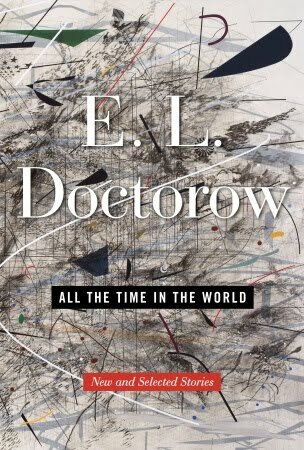 Definitely looking forward to E. L. Doctorow's new collection. And that Thursday Next should be good, too (though, I need to catch up with all the older TNs I've missed). Oh man, so many good ones. Off to explore and find out more about them. 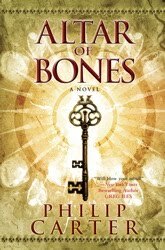 Im looking forward to reading Altar of Bones among a few other books that are coming out soon.